Lately I have been thrown a few challenges. Some major ones such as battling cancer, and some minor ones such as how to scale down feeding a family. See, we lost our oldest to college this year. It’s exciting to everyone, but the change was an interesting variable to deal with. Sure, it has been quiet, the house easier to pick up, less dishes, less laundry, less noise, and less food consumption. To me, that’s nice, but the food consumption is something I am still getting a grasp on. I know it sounds easy but when you have been cooking as long as I have, you get used to portions, or should I say teenage portions. My oldest, probably since he hit his teens, has been a big eater. The kid will crush three burgers if he is bored (I’m not even sure hungry), a meal of two plates of nachos, 36 chicken wings… You get it. So now (and probably always) I have many leftovers which sadly often time can go to waste. Due to my condition, I cannot really entertain the idea of leftovers, even my own, if it sits over a day in the refrigerator, so you can see where I am going. I’m learning to scale down on family meals, and it is tough. Thankfully there was something I made earlier this month, Bistek Tagalog where it was so tasty that I had the appetite the following day to make something out of the leftover, and it was a simple as making a slider and adding some cheese. BOOM! 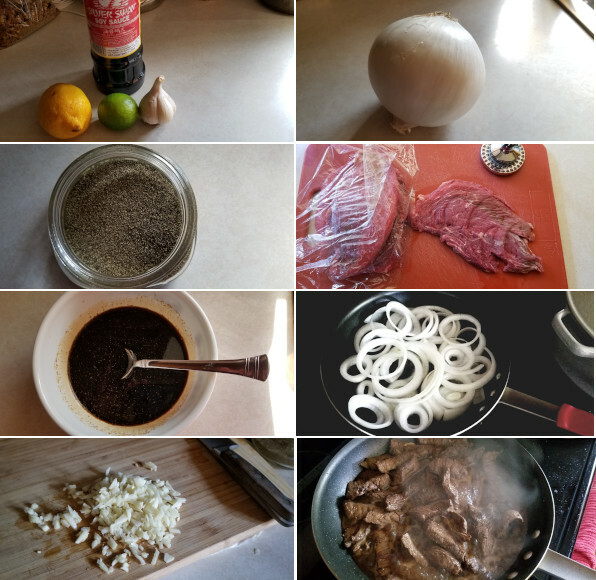 The process of making Bistek Tagalog (Steak with onions along with great Filipino flavors) is simple to begin with, and then warming up the leftovers and putting them between two soft buns, well you have something great to eat in no time. Take a skillet, and heat it to medium heat. Add in whatever amount of bistek tagalog you want for your sliders and let it come to temperature. Once the beef and onions are nice and warm add some provolone cheese to the top. Once the cheese begins to melt, left up and slide onto the bottom of your slider bun. Top with the top bun. Repeat if necessary. As much as I love a great cheesesteak sandwich, the Filipino bistek tagalog slider is one sandwich to be reckoned with, and low and behold I got to use up some of my leftovers! P.S. The kid is back from college this week so I’m hoping leftovers will be held to a minimum for a few days!